After successfully matchingbullies, dorks, athletes, and weirdos, she's ready forher most high-profile client yet: Isla, a fourth grader so popular she hangs out with the fifth graders. But when Emma's efforts go terriblyawry, she finds herself with a powerful new enemy. Suddenly life on the playground is horriblywrong. 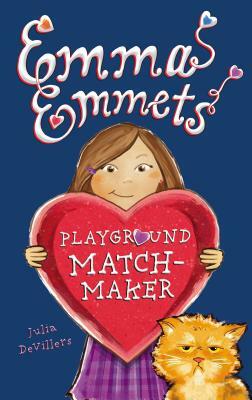 With all her classmates blissfully paired off, Emma's left with no one Is the matchmaker destined to be alone? Julia DeVillers is the bestselling author of several novels, including "Liberty Porter," "Trading Faces, " and "How My Private, Personal Journal Became a Bestseller," which was adapted into the Disney Channel original movie "Read It and Weep." She lives in Ohio with her husband and two children. Check out her website at www.juliadevillers.com.